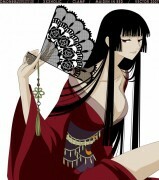 Another xxxHolic vector and there are still 4 vectors left. It seems that I can achieve my goal to finish my vector series until new year. 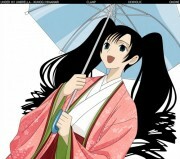 There is nothing special tosay about this vector. It is very simple and nothing special. I am not sure aboutthe coloring. Turned out harder than I thought it would be. Nicely done! Outlines are thin and smooth again! Very good job with the colouring, the soft shading turned out well (I've never even done soft shading before :o). 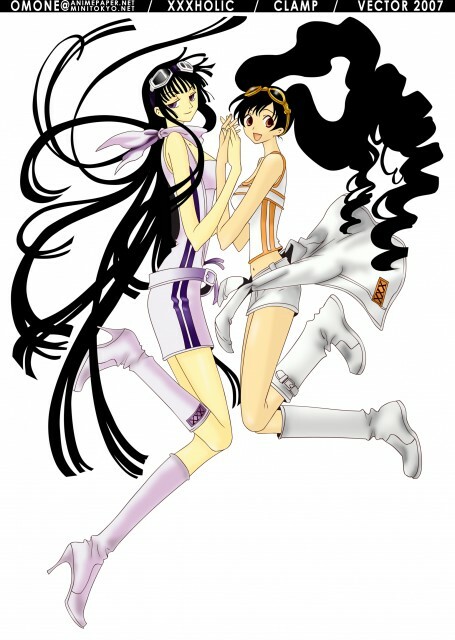 I like the image too (I always like Himawari just because she reminds me of Tomoyo, and I already like Yuuko). Great job, keep it up! Oh yay! You finished coloring it! XD I <3 the color! Chaa Love it. So cute definite favs my friend. so hows ya been? I havent been on lately, school is death. Ossu, good! XD I particularly like the color of Yuuko's boots. Wish you could make the BG a bit more outstanding. I love this one! +favs and great job, dear! Brilient vector disposing, really a nice work!